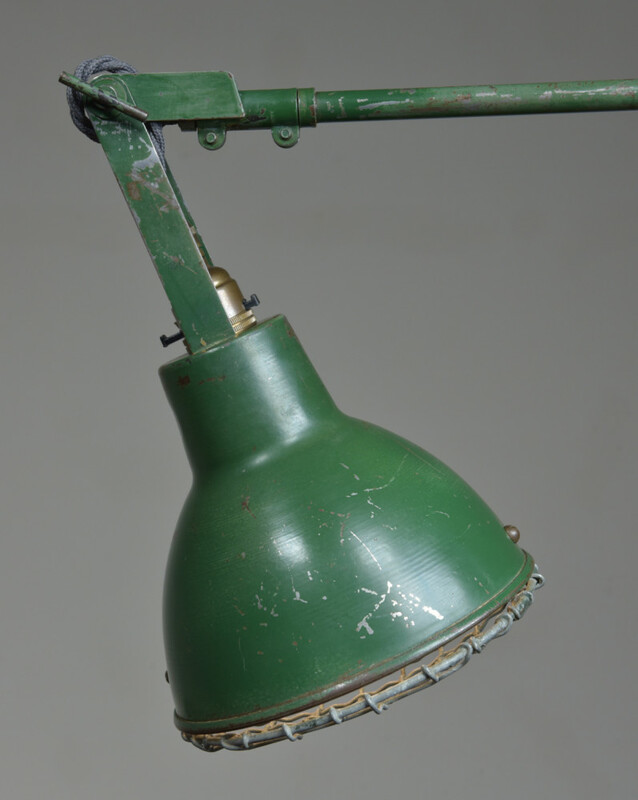 A good and rare pair of antique industrial table / desk / work lamps in lovely green original paint. English 1920s/30s. Moulded lettering to the perimeter of the cast iron base reads C M C LONDON ( makers name?) 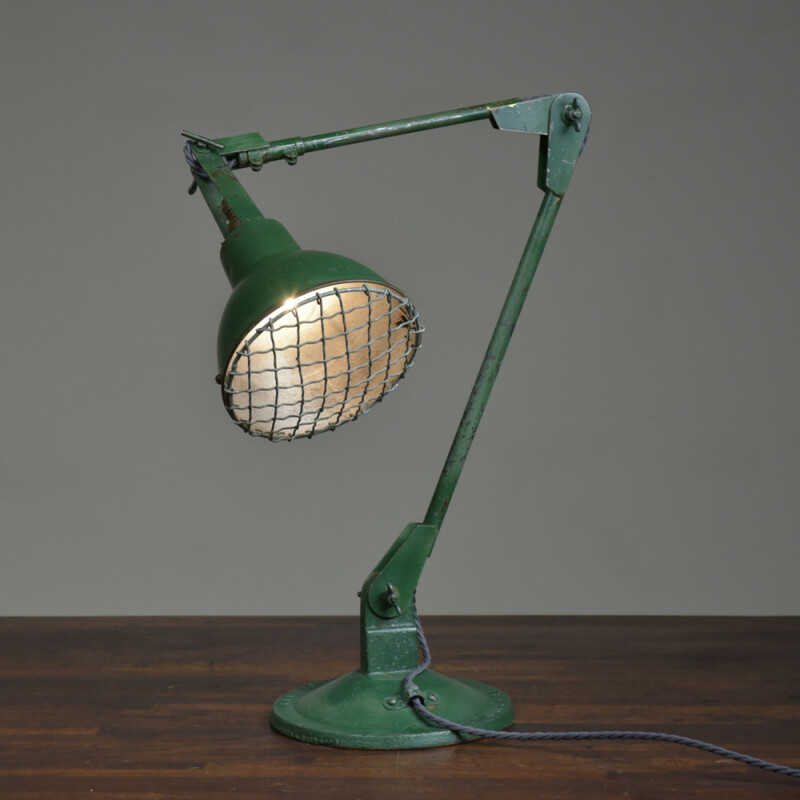 on one side and FEW HANDY LAMP on the other side Both complete (all original fittings / shades) and in excellent condition with all joints and adjustable parts working perfectly and holding in position. The bases are cast iron, the shades spun aluminium and all other parts are steel with brazed joints. 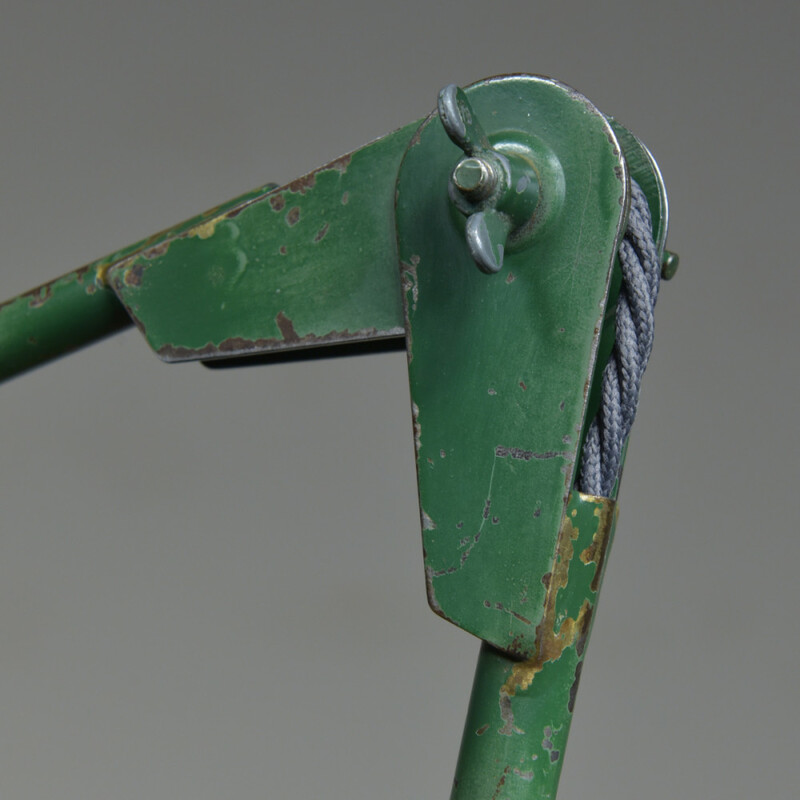 They have been completely taken apart and every piece has been thoroughly cleaned, polished and waxed taking care not to lose any original paintwork. 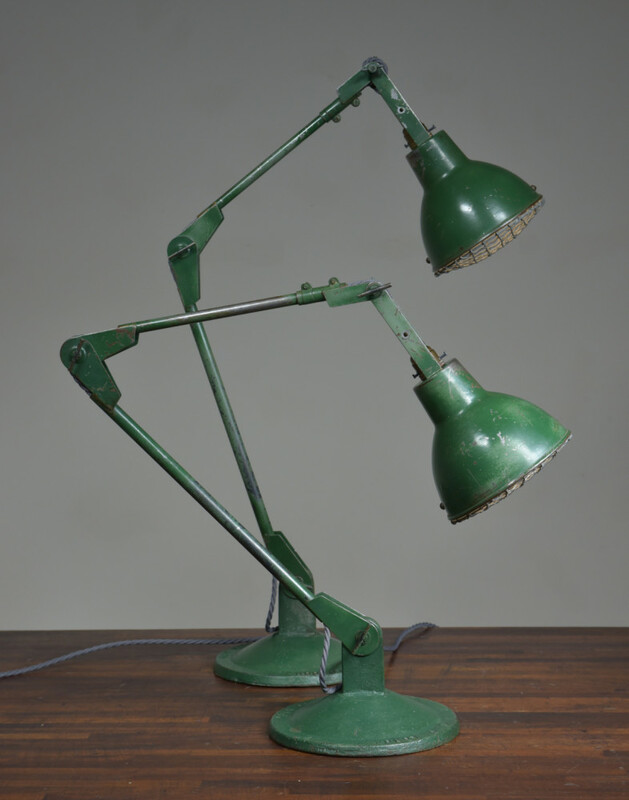 The three joints on the arms / stem all adjust and the lamp also rotates ( near end of second arm). 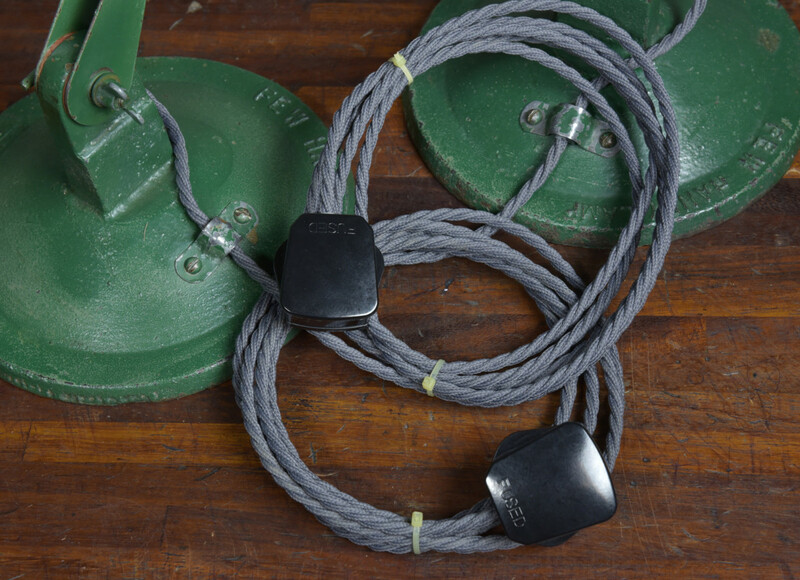 Rewired with approx 5 meters (approx 3meters from base of lamp) grey fabric flex, traditional hard plastic plugs and brass switched safety lampholders and corgrips. 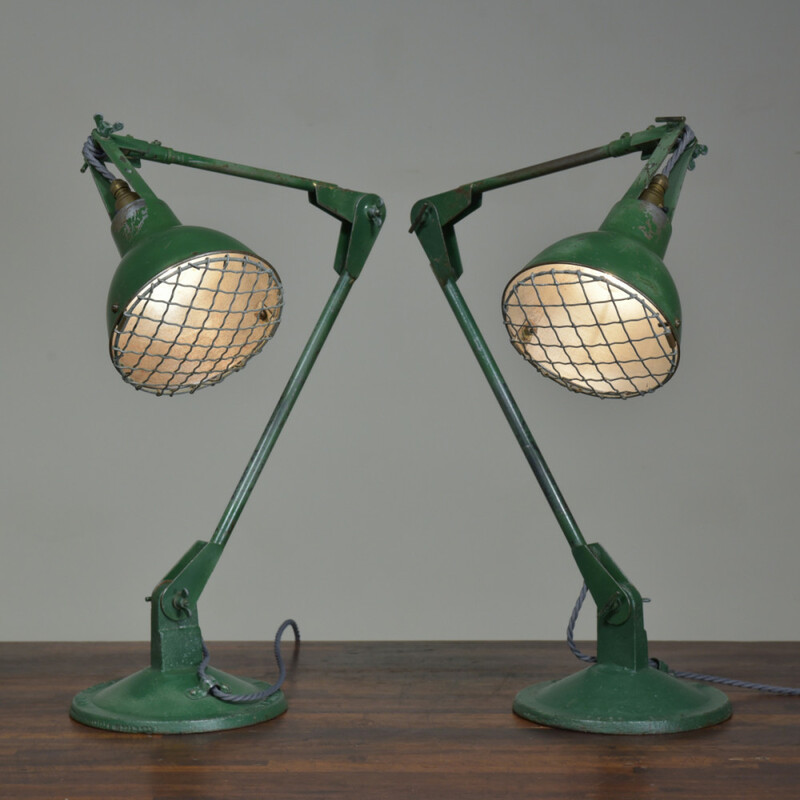 To be sold as one pair (price is one lamp). Dimensions in inches/cms; 45"/114cms max height ( straight up) Base is 8.375"/21cms. Shade is 6.5"/17cm max diameter. Plenty more / higher res images please to see on my blog which can be accessed through the news section of this (haes) website.